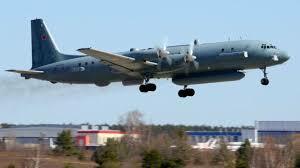 Russia blames Israel after plane shot down – Royal Times of Nigeria. 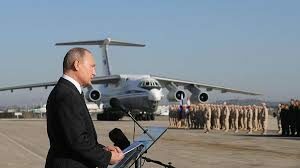 Russia has said Syria shot down one of its military planes, but laid the blame for the deaths of the fifteen personnel on board with Israel. The defence ministry said Israeli jets put the plane into the path of Syrian air defence systems on Monday after failing to give Moscow enough warning of a strike on Syrian targets. The plane disappeared off the radar at about 23:00 local time. Israel is yet to comment on the allegations. Israel rarely acknowledges carrying out strikes on Syria, but an Israeli military official recently said it had hit more than 200 Iranian targets in Syria over the past 18 months. The Israeli government is concerned by what it calls Iran’s “military entrenchment” in Syria, as well as shipments of Iranian weapons to the Lebanese militant group Hezbollah, which is fighting alongside Syrian government forces.